The easiest way to make your front or back yard a welcoming, inviting place for your friends and family is to create a patio. A patio is a flat gathering place specifically for the purpose of entertaining and convening. The juxtaposition between a sleek hardscape among lush flora is an aesthetically pleasing combination that has stood the test of time. Patios come in all varieties, shapes, sizes, colors, purposes, and uses. 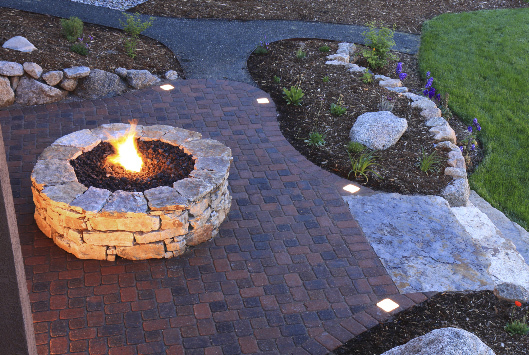 For the purpose of your personal yard, you may be looking at concrete patios, stamped concrete patios, or stone patios. All have varying prices, looks, and functionalities, so determining which patio type is best for you will be determined in our pre-consultation. We'll take into consideration your taste, the design of your home and yard, your vision for what you want the patio to achieve, and your budget. If you're tackling the job on your own, our pre-consultation services can help you narrow your vision. Additionally, we can help you secure the materials you need to achieve the look you want. If you desire us to complete the project, we'll do so effectively, efficiently, and often, in a single day or weekend - all while sticking to your desired budget, and respecting your home and property. The end result? A beautiful patio where you can kick back, relax, enjoy the summer sun, and relish in the added beauty and value to your home and property!